20" x 19" | Film Cell Clips | Limited Edition of 2500 | Framed | Official Betty Boop Film Cell | This item contains clips of film, an image portraying the movie(s), artist(s) or character(s) and a stunning descriptive plaque. These elements have been double mounted and placed within a beautiful black wood frame. Each item comes with an official ? Trend Setters Ltd. certificate stating its authenticity. 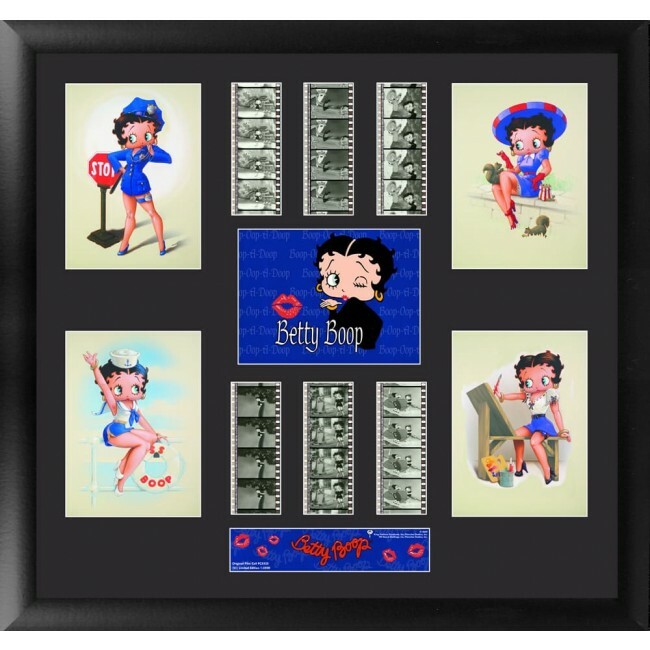 The film strip portrayed in the image above is only an example of the film cells you may receive. Please note, the cells may vary from piece to piece because they are hand selected from reels of film. | ? 2010 King Features Syndicate, Inc./Fleischer Studios, Inc. | Hearst Holdings, Inc./Fleischer Studios, Inc.